"A guy named Bill put 10,000 Bees on my face." Rhett & Link, hosts of Good Mystical Morning, the daily morning comedy talk show, head off to Bill's Bees Bee Yard to see if they'd be good candidates as beekeepers. "Two crazy guys came to visit one day and wanted me to put bees on their face,” says Bill Lewis of Bill’s Bees. “Okay!! !” Bill's Bees does most anything to help the bees! Also on board was Rob McFarland of HoneyLove http://www.HoneyLove.org. Bill and Rob Go To The Almonds!!! 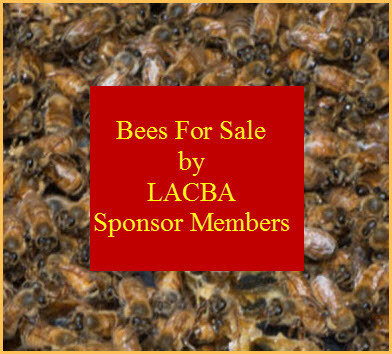 Rob McFarland from HoneyLove went up with Bill Lewis, President of the California State Beekeepers Association, past president of the Los Angeles County Beekeepers Association, and owner of Bill's Bees to the Almond Orchards in Bakersfield. What an amazing adventure! 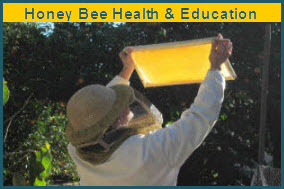 There is so much to learn about bees, beekeeping, and the Joy of it All! 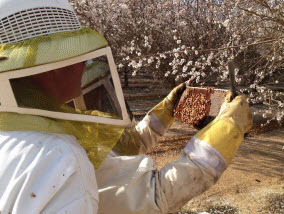 Rob and Chelsea McFarland are leading an effort to make beekeeping legal in Los Angeles. They have won the support of Councilman Bill Rosendahl and eight neighborhood councils so far. "The sky was sort of darkened out," he recalled. "It was kind of a presence that I couldn't ignore."